We had our recertification audit for ISO9001:2008 last week, and for the first time since 2004 have been found wanting. Darn. For the first time we have been cited for a non-conformance. When asked to see our internal audit record, we were unable to provide one. That is not to say we have not done a lot of the checking. We routinely check and update our Quality Manual, and update and revise our SOPs as required. We have updated our job descriptions as required. We checked our Document Control Log and Records. We have our Management Review of incidents and opportunities for improvement, and have monitored customer satisfaction through survey and complaints. But we did not complete an internal audit document to demonstrate that this was all done. Some years we have asked an external Quality consultant to do an audit for us (an external-internal audit), but we did not get around to that, because we figured we could do it ourselves. We were wrong. You might think that I consider this a waste of time. After-all we had done all the critical stuff; we just didn’t get around to writing it down. You would be wrong. We take our certification seriously. The assessor was right. We were wrong. Having been involved in the assessment process for 8 years, we should have known better. We did get busy with a number of issues, some of them regular events, if not planned, at least they were not unanticipated. We also had a number of exceptional issues that needed addressing. None of them were issues that would could have controlled though implementation of preventive action. That is not said as excuse, but as explanation. CMPT has benefited from its active Quality Management program. As we have become more organized, have taken on more projects, and been more effective and efficient in working through them. We have more programs, we have extended our teaching programs and our research and development. We have gained control over our finances. From my perspective, we have strongly benefited from adopting ISO 9001:2008 as the basis of our Quality Management system, and further benefited by taking our commitment the extra step forward by working with a qualified and competent Certification Body to do regular assessments, and recognize our quality system. 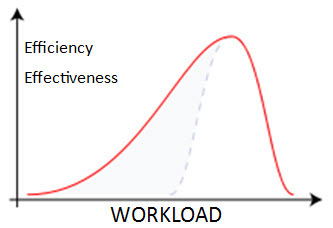 Our problem is one that in that effectiveness and efficiency follow a normal curve pattern, or more likely a normal curve with negative skew, which means that effectiveness and efficiency fall off faster than they develop, which means that challenges don’t just creap in; the pace is more of a gallop. Small organizations need to be very careful because becoming more effective and efficient can result in improved balance sheet,but may not be sufficient to generate enough revenue to hire additional hands-on personnel, so that at a certain point they need to back off on expansion of activities, even though they may feel they can keep going. In our situation, our neglecting to complete our paper work may be an indicator that we have reached that point. So, now we have two things to do. First we need to do a audit now to detect how many other gaps we had created, and second we may have to do an assessment of what we are doing and what are our options. All this happens at an interesting time. I have been at a meeting recently where all one hears about how valuable a service Accreditation Bodies provide, and how poor a service Certification Bodies provide (They are just in it more the money). Accreditation Bodies do provide a valuable Quality Partner service, but over the last while I have seen a number of accredited laboratories doing a terrible job; and at the same time we have been assisted by a certification review that found a critical deficiency. So the rhetoric is not consistent with reality.